The drive to lower costs and increase sales, regardless of the business, is always there. Online Ticketing from your website for shows, events or days out is one of the simplest. Despite this, there is still a large number of event organisers not opting for the best solution, are you one of them? Getting Online Ticketing that works is easier than it seems. The market is full of ticket agents wanting to take the money on your behalf, most keeping the money until after the event, some, perhaps marginally better, paying you before. They all seem to fall into one area though, its all about the commission. Ranging from 5% upwards, they all want a cut of your sales. Why? Because its the most profitable for them. I know of some who will charge less but its all still a percentage, and all too expensive. There is another way though and whether you put on a single event each year or a multiple events as an organiser, you can save thousands of pounds a year by cutting out these greedy ticket selling companies/agencies. For event companies or venues, premium options are available to provide the support during the build-up as well as on the day itself. Security has never been so good as with e-tickets as they can be validated, live online, to ensure total control. 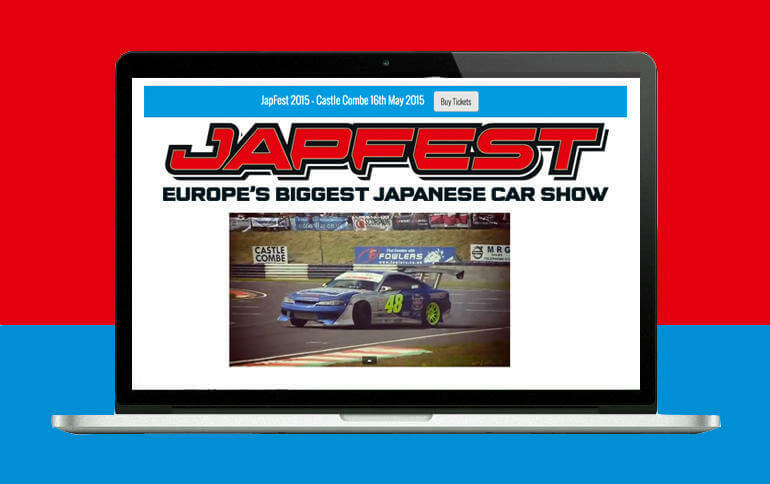 Even from venues such as Silverstone, Castle Combe and Santa Pod Circuits, we'll be there handling thousands of tickets during this year and you could benefit too from the packages available. Taking responsive website design services alongside ticketing, there is even greater value available. The premium packages could help save you money, possibly even allowing you to effectively have your ticketing for free whilst delivering even better service than before. With options for postal or e-tickets, delivered at a rate that will please you, your MD, accountant and customers for service and cost, ignite your potential and make money whilst you sleep this year. If you want to ignite and realise your online potential, get in touch. Steve is director of Flame Concepts with 25 years business management and development experience from small retail to supermarket stores both in store management and area/regional project management and support roles including Harvey Nichols. Building on the success and experience, Steve has gone on to build 2 online businesses, Flame Concepts started in 2012 offering specialist event ticketing and conference registrations all of which is now an international brand with increasing success supporting businesses, events, charities and conferences grow. Is SEO (Search Engine Optimisation) dead? A round up of the most interesting technology coming out of this years CES event.